In a 2004 interview with PBS’s “Frontline," Kofi Annan called the Rwandan genocide “a very painful and traumatic experience,” both for himself and the United Nations. In 1994, at least 800,000 Rwandans were slaughtered in a 100-day genocide, when Hutu soldiers and militias slaughtered members of the Tutsi ethnic group. 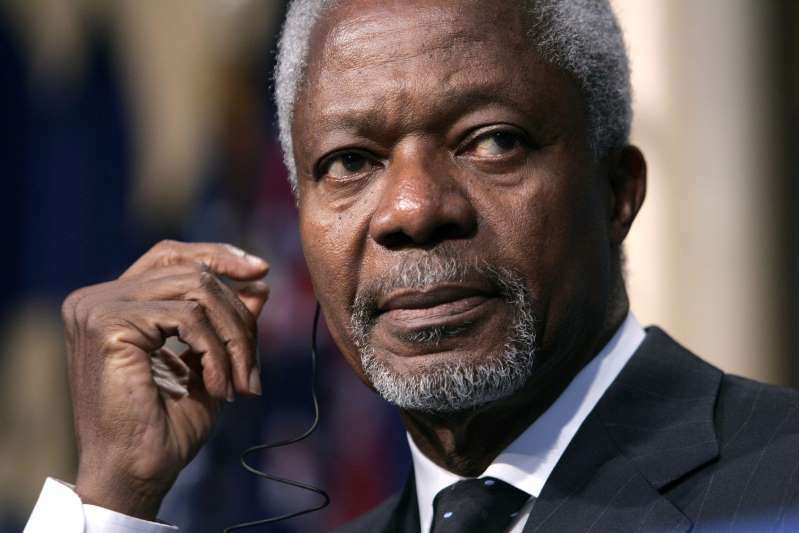 At that time, Annan was chief of U.N. peacekeeping. As journalist Stanley Meisler wrote in Annan’s obituary in The Washington Post: "He and his aides worked behind the scenes to prevent the widespread killing in Rwanda, but they said the forces of ethnic hatred were too strong to temper. When the massacres erupted in the mid-1990s, the U.N. Security Council, led by the United States, did little to stop them; hundreds of thousands were killed. " Annan is also widely credited with brokering a peace deal that put an end to post-election violence in Kenya in early 2008, after contested elections in 2007 sparked clashes that left hundreds dead. Wilkens said that in the wake of Annan’s death, he now hopes to set aside some of his bitterness and take a more objective look at what the complicated leader accomplished after 1994.